Born in Virginia and raised in Rye, NY, Lyric-coloratura Samantha Britt played trombone and piano for many years before discovering that her voice was her instrument. She earned her Bachelor’s of Fine Arts in Vocal Performance from Carnegie Mellon University and her Master’s in Music from Manhattan School of Music. Samantha Britt is equally comfortable in musical theater and opera, standard repertoire, and premieres. In March, she made her Berlin Staatsoper unter den Linden debut as a soloist in the septet of BABYLON by Jörg Widmann. Prior to that, she performed as Artemis in the premiere of HERAKLEITOS by Cyrus Meurant with the Kreuzberger Kamerata in the Hamburg Laeiszhalle (Kleiner Saal). She also covered Musetta in La Boheme with Stone Opera Berlin and performed the title role in Cole Porter's Kiss Me Kate in German with Opera Incognita in Bavaria. Previously with Opera Incognita, she sang the role of Lucy in Gian Carlo Menotti's The Telephone and Nella in Gianni Schicchi. In November 2019, Samantha will make her Deutsche Opera Berlin debut as Danish Lady/Strolling player in Death in Venice, by Benjamin Britten. Other recent projects include: In Appetizing Portions, a surrealistic song-cycle by Fritz Myers for soprano, violin, and electric guitar; Carla in the world premiere of A Certain Quiet (by Haim Elisha, libretto by Rina Elisha) at Theater for the New City in Manhattan; and the delusional baker Leslie in Companionship, by Rachel Peters, at The Virginia Arts Festival. Samantha has performed Susanna in Le nozze di Figaro with San Antonio Opera, Adina in L’elisir d’amore, Miss Wordsworth in Benjamin Britten’s Albert Herring, as well as Josephine in H.M.S. Pinafore and Hodel in Fiddler on the Roof. She covered the role of Lucia in Lucia di Lammermoor with Green Mountain Opera Festival, where she also sang Alisa. Samantha Britt was named Winner of International Singing Competition Kammeroper Schloss Rheinsberg and the Winner of the American Prize in Vocal Performance (opera). 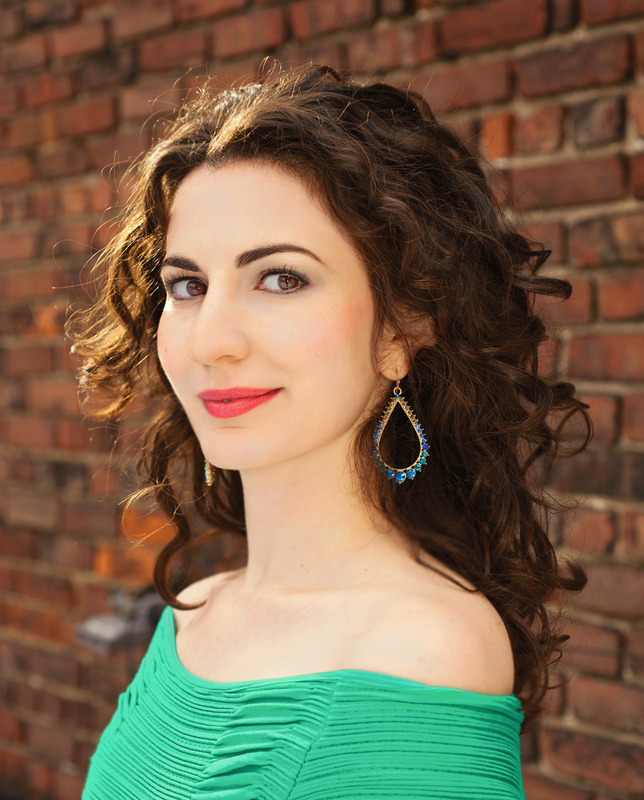 Samantha was also a winner of the Boston District of the Metropolitan Opera National Council Auditions, the Opera Singers Initiative Young Emerging Artist award, and she was a multi-year Career Bridges Grantee.